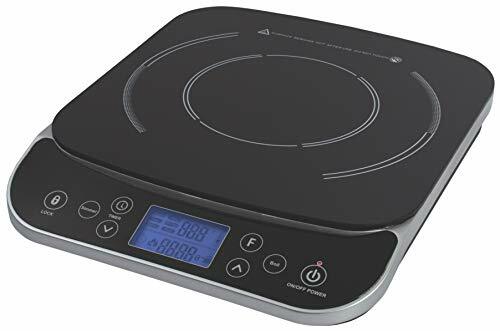 Note: In order to use this and any other induction cooktops, you need to have the right kind of cookware. 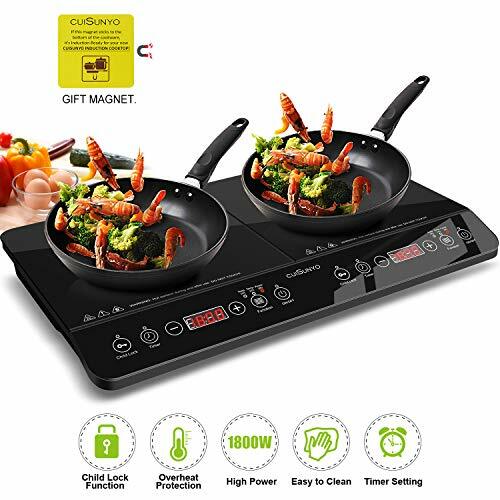 Induction itself is a noiseless process, however there may be high pitch sound from clad cookware, the base of which has multiple layers of metals sandwiched together. 15 power levels 200W, 300W, 400W, 500W, 600W, 700W, 800W, 900W, 1000W, 1100W, 1200W, 1300W, 1500W, 1600W, 1800W; 15 temperature range from 140 Degree Fahrenheit, 160 Degree Fahrenheit, 180 Degree Fahrenheit, 200 Degree Fahrenheit, 220 Degree Fahrenheit, 240 Degree Fahrenheit, 260 Degree Fahrenheit, 280 Degree Fahrenheit, 300 Degree Fahrenheit, 320 Degree Fahrenheit, 340 Degree Fahrenheit, 370 Degree Fahrenheit, 400 Degree Fahrenheit, 430 Degree Fahrenheit, 460 Degree Fahrenheit; Digital control panel; Lightweight and compact for easy handling and storage; Built-in count-down digital timer with 1 min increments up to 170 minutes; The auto-pan detection; Equipped with diagnostic error message system, Low and high voltage warning system; Compatible with Duxtop and other induction ready cookware such as cast aluminum enameled iron and steel, stainless steel with a magnetic bottom, or cast iron; Product Built to North American Electrical Standards, 120V 60Hz AC; 2-year warranty; ETL approved. The Empava brand 30 in. 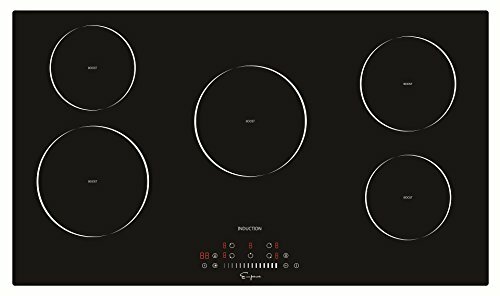 Induction Cooktop combines the power of Induction with the easy clean-up of electric to give you the utmost cooking flexibility. 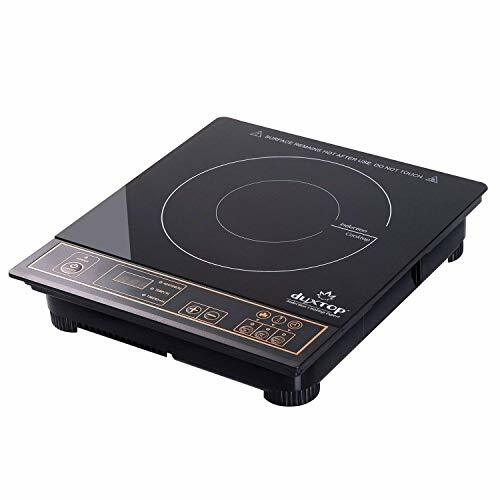 Induction cooking is 70% more efficient than gas and offers more responsive, exceptional temperature control at low and high heats, so it is gentle enough to melt chocolate and powerful enough to boil water. And because heat is generated directly in the cookware, the cooktop stays cooler to the touch, making it safer and easier to clean. Induction elements are compatible with most stainless steel and cast iron cookware. If a magnet sticks to the bottom of a pot or pan, it is induction friendly. Empava products offer the best in contemporary design matched with the latest in appliance technologies to transform the way you live. 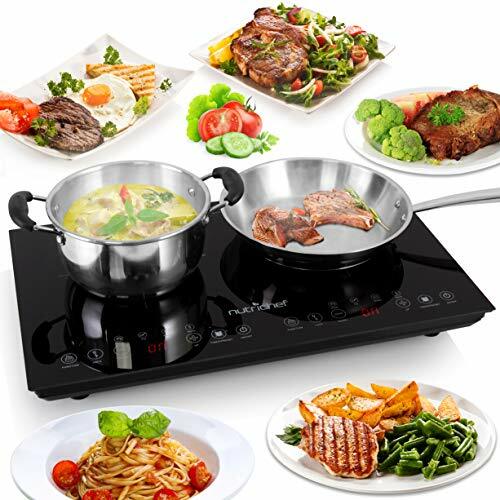 True Induction cooktops are like no other in the industry. 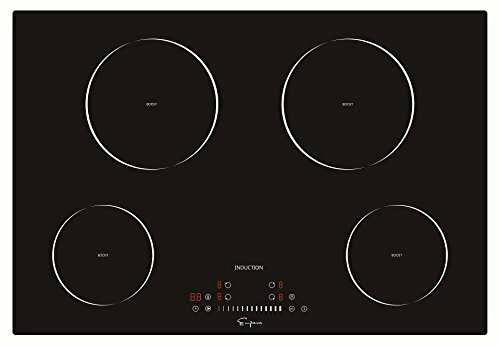 With simple and intuitive controls and power maximizing technology, you will be cooking with gourmet results with speed previously unattainable. 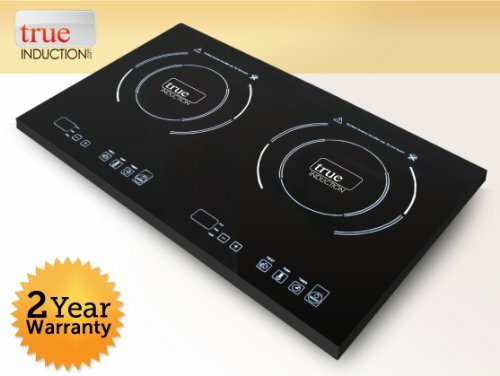 True Induction's smooth ceramic-glass cooking surface is not only the most modern looking dual cooktop on the market, but is also extremely simple to keep clean. 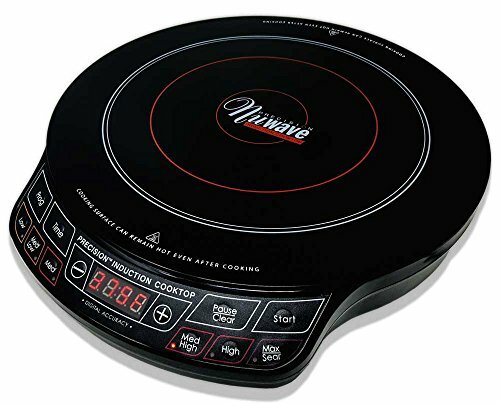 True Induction combines form and function in a cooktop with enough power to boil water in less than a minute. The Empava brand 36 in. 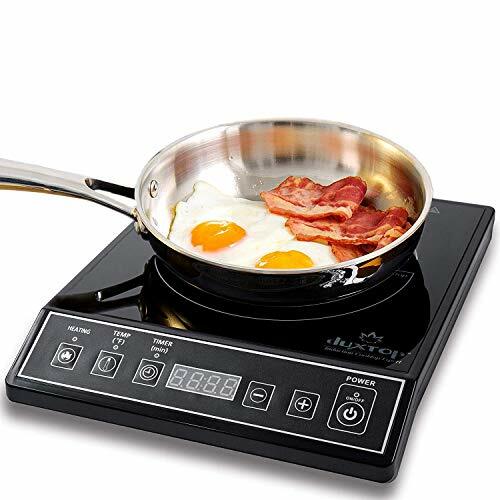 Induction Cooktop combines the power of Induction with the easy clean-up of electric to give you the utmost cooking flexibility. 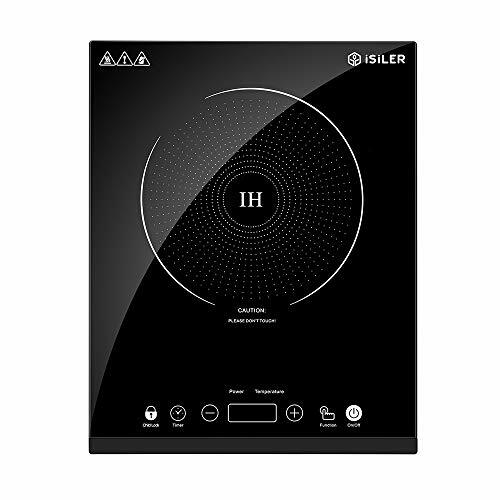 Induction cooking is 70% more efficient than gas and offers more responsive, exceptional temperature control at low and high heats, so it is gentle enough to melt chocolate and powerful enough to boil water. And because heat is generated directly in the cookware, the cooktop stays cooler to the touch, making it safer and easier to clean. Induction elements are compatible with most stainless steel and cast iron cookware. If a magnet sticks to the bottom of a pot or pan, it is induction friendly. Empava products offer the best in contemporary design matched with the latest in appliance technologies to transform the way you live.